Thembi has worked in the Canadian federal public service for 20 years and is currently serving as Senior Policy Analyst for the ministry of Indigenous and Northern Affairs Canada (INAC). Her work focuses on promoting international cooperation and the engagement of indigenous peoples of the arctic. Thembi holds two masters’ degrees, in science and international relations. She is fluent in English, Russian and five Southern African languages. Her professional career began in Zimbabwe as assistant Metallurgist at Arcturus Gold Mine. In 1987 Thembi was awarded a Commonwealth Scholarship to study in Canada at Carleton University, Chemistry Department. She later joined the Southern Africa Education Trust Fund as coordinator for a scholarship program involving graduate students from South Africa and Namibia studying in Canada. Thembi’s contributions towards social science research began with the drafting of issue papers for the UN World Conference for Women. She serves on the Board of Initiatives of Change-Canada, (IoC) www.iofc.org and her contributions include a women’s initiative – Creators of Peace, Youth Trainer in Ethical Leadership and co-founder of the Global Indigenous Dialogue which meets at Caux, Switzerland. Thembi also supports the Board of Newlife Women’s Project www.newlifeprojectinc.org – an organization which empowers disadvantaged women of Sierra Leon and Ivory Coast. 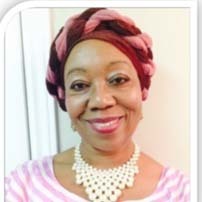 Thembi is a certified Professional Life Coach, a graduate of Erickson International Academy, Vancouver.